NORTH KHARTOUM, Sudan (Christian Telegraph) — Lawyers representing the Khartoum Bahri Evangelical Church in North Khartoum have filed an appeal against a court decision to confiscate the remaining property at the site and permanently close the church, reports Dan Wooding, Founder of ASSIST and ASSIST News Service. According to Christian Solidarity Worldwide (CSW), on February 18th, police arrived at the church with an order from the Khartoum Civil Court to lock and seize the outer gates of the property. Lawyers representing the church have issued a technical challenge on the wording of the order as it does not identify the specific area of the church’s property affected by the order. 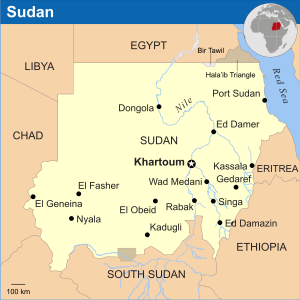 “The Bahri Evangelical Church is part of the Sudan Evangelical Presbyterian Church (SEPC) denomination and has been in an ongoing legal battle with the Sudanese authorities, who have attempted to sell church land to a Muslim businessman,” explained a CSW spokesperson.